hd00:23Beautiful couple sitting in hammock on exotic beach with garlands, lamps and umbrellas near wooden house at night . Young couple on lonely beach . Romantic couple is enjoying night . 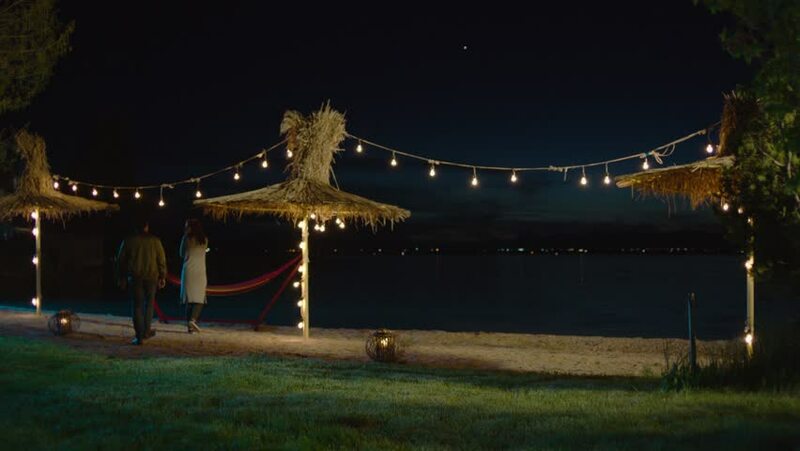 4k00:21Beautiful couple sitting in hammock on exotic beach with garlands, lamps and umbrellas near wooden house at night . Young couple on lonely beach . Romantic couple is enjoying night . 4k00:08BUDAPEST - JUNE 27: Traffic passes by under a historic building in Budapest on June 27, 2014 in Budapest, Hungary.